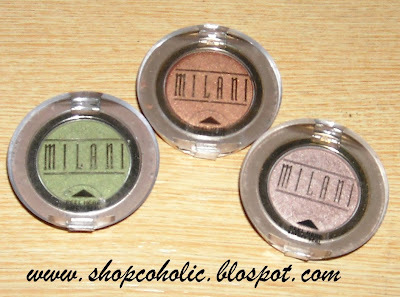 Got these cute Milani eyeshadows from my favorite seller in Ebay for Php 70 each! 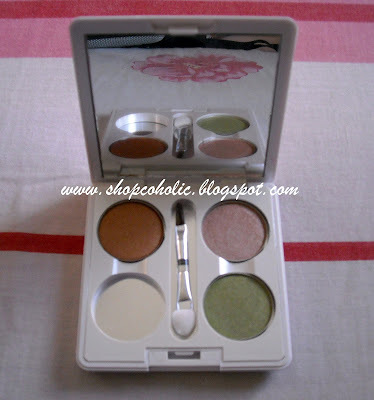 The eyeshadow colors are sheer - but its buildable. Staying power is average (without primer). 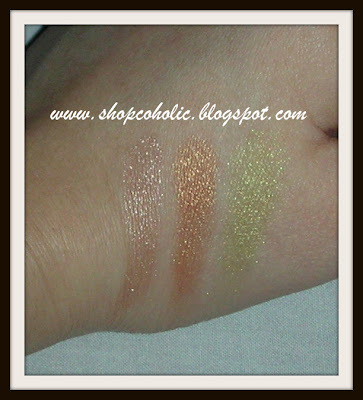 My favorite among the 3 shades is Sun Goddess. I love gold/bronze eyeshadows! 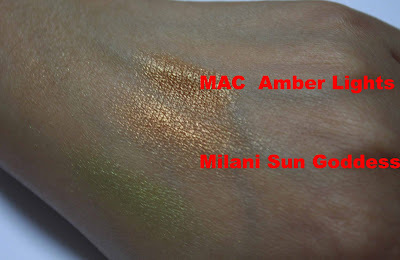 According to Nikki, its a dupe of MAC Amber lights eyeshadow. I depotted the eyeshadows and transferred them into my empty ELF palette. The finished product.. they fit perfectly! I'm thinking of getting an ELF e/s. 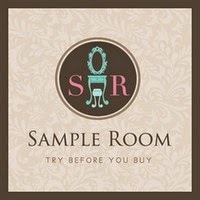 For instructions on How to Depot Milani eyeshadows check out Nikki's post here. And by the way, if you don't have the magnetic square's that Nikki used in the tutorial, its okay NOT to use one..
And by the way, the 15 winners for the KOTEX Luxe Contest will be announced tomorrow. your ELF palette looks so cute khymm! It's good that the Milani shadows fit perfectly! I love Milani! I'm so sad that they discontinued a whole bunch of their colours...They were the best! 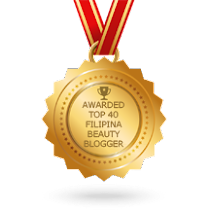 now that mentioned amberlights, na remember ko na naman, i think that amberlights is kind of similar with one of the gold shade i have in my eb palette. then, she keep on insisting me the amberlights. pero nakakapareho nmn kasi the one i have in my eb palette. maybe, i am wrong, or naduduling na mata ko sa ilaw ng counter. haha! wow, the eyeshadows are great!!!! I love milani!